Resignation. The Romanian Education Minister Valentin Popa announced his resignation on Thursday, after a meeting with the leader of the Social Democratic Party Liviu Dragnea and against talks about a potential government reshuffle. Also on Thursday, Valentin Popa stated that Romania and the Romanian language are not negotiable and all children in Romania must know Romanian, for them to be able to live and work in the country.  A few days earlier, the Democratic Union of Ethnic Hungarians in Romania had announced it suspended cooperation with the governing coalition until the issue of the Romanian language taught in primary schools with teaching in minority languages was resolved. This is the second resignation in the Cabinet headed by Viorica Dancila, after that of the Research Minister Nicolae Burnete. Ordinance. The Romanian Government on Thursday adopted an emergency ordinance that changes the legislation regarding insolvency. The new provisions are aimed at putting an end to some abusive practices and at providing equal chances for business development. Currently, more than 6,000 companies, with some 65,000 employees, are insolvent, the Finance Minister Eugen Teodorovici said at the end of the meeting. Also on Thursday, the Government took several measures to support certain categories of the population exposed to poverty and social exclusion and decided that Romanian language in primary minority schools will be taught by the teachers of the respective classes. UN. A Romanian delegation headed by the country's president Klaus Iohannis is attending the 73rd UN General Assembly session. Romania will promote an open approach to migration based on identifying consensual solutions among EU member states during its presidency of the EU Council in the first six months of next year, president Klaus Iohannis said during a meeting in New York with the UN High Commissioner for Refugees Filippo Grandi. At the UN, Iohannis pleaded for Romania to be elected as a non-permanent member of the Security Council in the 2020-2021 period. In his address before the UN General Assembly, he said Romania would be a responsible partner in promoting the UN's common agenda. He also said that Romania, as a holder of the EU Council presidency, would consolidate the Union's partnership with the United Nations. Rule of law. The Conference of Presidents of the European Parliament announced on Thursday that the vote on the resolution regarding the observance of the rule of law in Romania was postponed until the November plenary session. The vote should have taken place in the second plenary session in October, when the Romanian President Klaus Iohannis is invited to give a speech on the future of Europe. Next week, in Strasbourg, the meeting will only include a debate on the situation in Romania, with the Romanian PM Viorica Dancila attending. PM Dancila already held talks with leaders of the main parliamentary groups in the European Parliament in Brussels early this week. Investigation. Colonel Ionut Catalin Sindile, the interim head of the Romanian Gendarmerie, appeared before the General Prosecutor's Office on Thursday in connection to the intervention of the riot police during the antigovernment protest on August 10th in Bucharest. He is under criminal investigation, alongside other gendarmerie officials, for complicity to abuse of office and complicity to abusive behaviour. Military prosecutors have opened a criminal case into the brutal way in which the gendarmes acted on August 10th. The General Prosecutor's Office says 770 criminal complaints have been filed against the reaction of the security forces, who used tear gas and water canons to disperse the crowds. The protest was treated as a potential risk to public order and the security forces' intervention was legal, said the interior minister Carmen Dan. African swine fever. The Romanian agriculture minister Petre Daea has held talks in Brussels about the compensations to be granted to Romania by the European Commission for the African swine fever epidemic. According to official data, the Romanian state has awarded compensations to more than 4,000 of the 6,000 cases approved, amounting to around 15 million Euros. Since the outbreak of the virus, some 900 hotbeds have been reported in a number of counties. On the other hand, the simple motion filed by the National Liberal Party against Petre Daea was rejected on Wednesday by the Chamber of Deputies. The Liberals criticised the way in which the situation was handled, while the agriculture minister said the Romanian authorities have taken the standard measures established at European level. Appointment. The Superior Council of Magistracy has postponed for the 8th of October an interview with prosecutor Adina Florea, who was proposed by the justice minister Tudorel Toader to take over the leadership of the National Anticorruption Directorate. The Council's opinion, which is advisory, will be submitted to the minister. Later, the proposal will be sent to president Klaus Iohannis. In her application, Adina Florea said that, apart from good things, the activity of the anticorruption prosecutors also contained considerable deviations from the rule of law. Adina Florea, who formerly worked with the Prosecutor's Office of the Court of Appeal in Constanta, has been proposed as head of the National Anticorruption Directorate after a second selection round. The post had become vacant in July, when Laura Codruta Kovesi was sacked by president Klaus Iohannis in keeping with a Constitutional Court ruling. Industrial action. The Sanitary Solidarity Federation is to begin consultations with trade union members about a programme of wide-scale protests going all the way to a general strike, given that the government has not signed the collective employment agreement for the sector, the Federation has announced. Healthcare trade unions have a list of ten demands, including the awarding of the salary increases corresponding to 2019 beginning in January for all categories of employees who have not benefited from an increase in the basic salary. They also demand taxing the food benefit in the same way as meal vouchers.